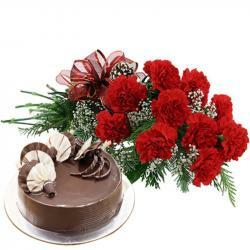 Fresh and full of fragrance Flower is the best gift to convey your deepest thoughts and emotions. Let your emotions speak with this handful of enchanting fresh Carnations in all the most alluring colors like red to win to love one's heart. 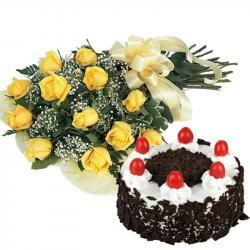 This hamper also includes Yummy Fresh cream pineapple flavor cake. We ensure they will enjoy the juicy and creamy treat of pineapple cake. 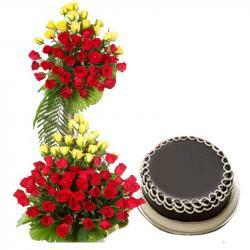 You are thinking to send something unique to your love ones in India then this best hamper you ever find online. 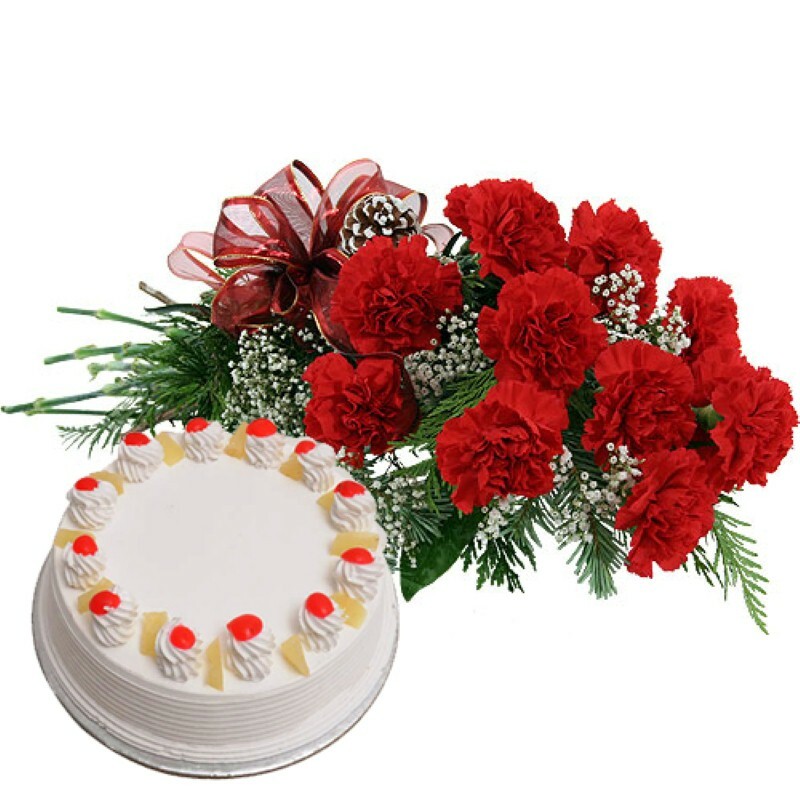 Product Includes : 10 Red Carnations Hand Bouquet along with 1/2 Kg Round Shaped Pineapple Cake.